NIU Campus Parking Services is excited to announce the installation of an electric vehicle (EV) charging station. The charging station is located on the west side of the parking garage drive-up ramp off of Carroll Avenue. This project is part of an initiative known as the “Workplace Charging Challenge.” The Workplace Charging Challenge aims to have 500 U.S. employers join by 2018. The charging station, a ChargePoint CT4000 Series Level 2, is a single unit with two charging connectors which allows two vehicles to be charged simultaneously. It charges at a maximum rate of 25 RPH (miles of Range Per Hour), and stations can fully charge some vehicles in less than four hours. All cars on the market are compatible with the ChargePoint chargers. Various payment options are available—American Express, Discover, MasterCard, Visa or a ChargePoint prepaid card can be used to pay for charging sessions. The first four hours are billed at $1 per hour. After four hours, the rate increases to $5 per hour in order to encourage availability. Violators who park a non-electric vehicle in a ChargePoint space are subject to a $100 fine and having their vehicle towed and impounded. Electric vehicles using the station must be charging their vehicle or face a $20 fine for improper parking. 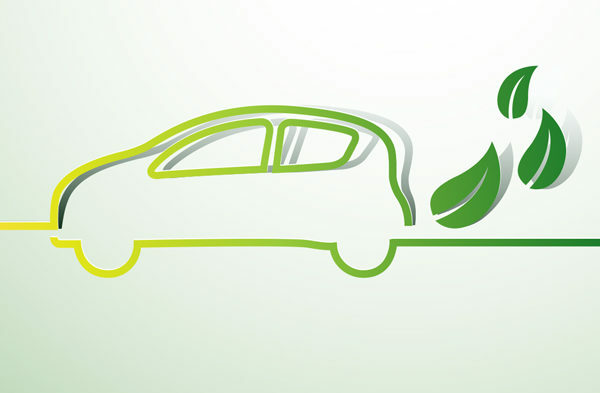 No special permit is required to charge an electric vehicle, but payment must be made and the vehicle must be in charging status while parked in a ChargePoint space. The ChargePoint mobile app sends customers notifications of available charging spaces, updates of their charging status as well as warnings if the connector becomes unplugged, among other options. Basic etiquette for using a charging station includes EV spaces for use by EV vehicles only, and those vehicles must be charging when using an EV space; instead of EV drivers leaving notes on non-EV vehicles parked in EV spaces, they should notify Campus Parking Services; EV charging spaces should only be used when necessary, allowing other EV drivers use of the charging stations; after charging, vehicles must be removed from the EV charging space; do not unplug an EV that is charging; and be safe when charging an EV! Properly manage the charging cord to prevent mishaps. For more information about the charging station, please contact Campus Parking Services at 815-753-1045. For technical support, please contact ChargePoint at 1-888-758-4389.